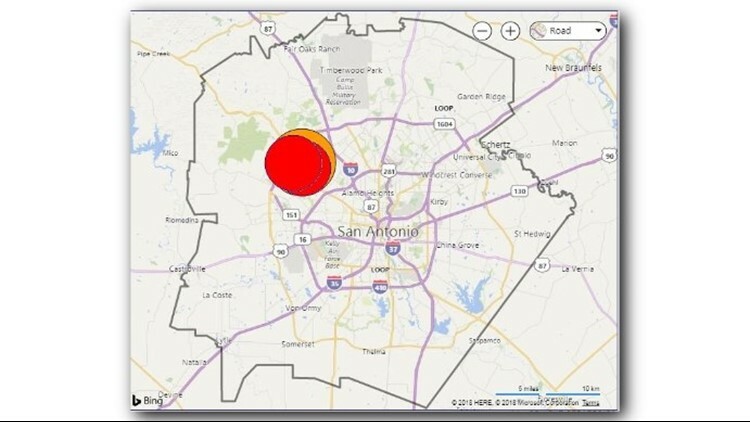 SAN ANTONIO — UPDATE: Power has been restored to the thousands of CPS customers, as of 8:00 a.m. Friday. Smaller outages, however, are still being reported in various parts of town. CPS Energy is reporting a major outage on the northwest side resulting in more than 7,000 customers without power, as of around 7:00 a.m. Friday morning. According to an outage map, the outages are affecting customers in the Northwest Crossing areas, and in the neighborhoods around Tezel and Culebra. The organization did not say if the outages were related to the wet weather Friday morning.